How do I find users in my account? There are multiple ways to find users in your account. 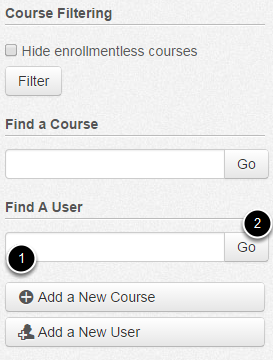 In Global Navigation, click the Courses drop-down menu , then click the name of the account . Locate Find A User on the sidebar. Type in the user's name  and click Go . After clicking Go, you will see the search results. To access that user's details, click the name link. 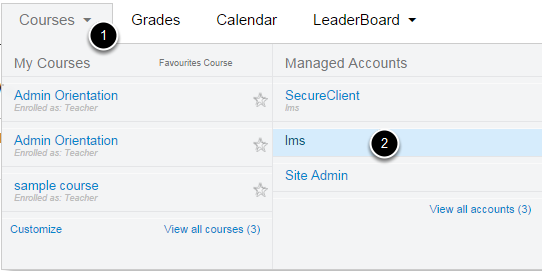 In Account Navigation, click the Users link. 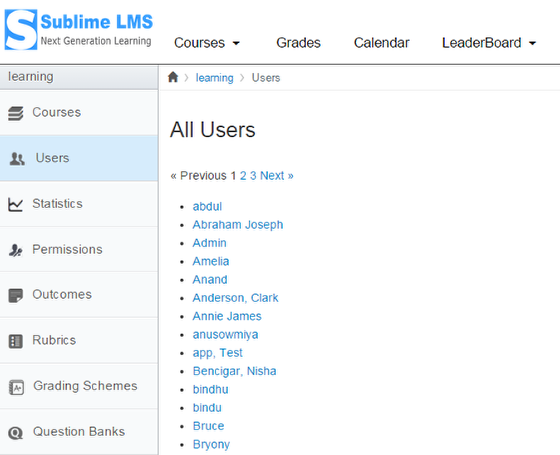 You can sift through all the users to find the one you are looking for by using the last name.